Love this article? Please share it! Each of us have our own, bringing vivid emotions, rich images, pungent smells … fragments of a past that recedes away from us with each year of grown-up responsibilities and challenges. Hiding under the kitchen table, running my hand over the cross-beams, observing the knees of visitors. Snowpeas hidden among green leaves, handfuls of warm brown dirt. 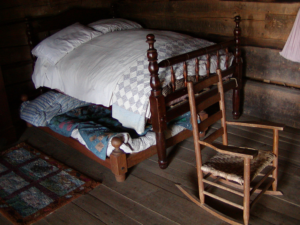 A trundle bed with a musty quilt. Rain tapping on a tin roof. The smell of baking bread filling the kitchen. Acorns raining onto the driveway, nutty brown oddities with quilted hats. A sandy beach, waves towering over me, an aloof dark ocean stretching out to the edge of the universe. And … singing. My mother’s voice singing a soft lullaby at bedtime. Every Sunday a church of song. My own child-like voice transformed into invisible artwork I can paint on the air. Crickets and birds outside my window, letting me know that song is as old as the earth. Childhood is a time for wonder. As a teacher I try to rediscover my own wonder with each young soul who comes across my doorstep. I say that I teach violin. My real job is to keep students’ hearts open. To give them a place to sing, to connect them with the music inside them. As violin teachers, we give our students bows so that they can bring beauty into the world. The road from childhood is a hard one; the starry-eyed children we watch were once us. Part of becoming an adult is experiencing heartbreak and pain; feeling the impact of meanness and ignorance. Their eyes will begin to show a sober wisdom as well as a joyful sparkle. We cannot keep a safe circle around them, no matter how much we love them. What we can do is nourish their childhood heart. Even when the word seems too much to bear, they can always find beauty within them. In this morning’s beginning group class, five children sang Frere Jacques and created simple harmony parts. They did not know why he was called “Brother John.” I explained that in the “old days,” girls and boys who love taking care of the church could decide to grow up and do that instead of having families of their own, and that they were called nuns and monks. Perhaps Elana’s question simply reflected an observation of my violin-centered life and that I don’t have children. But what impacted me most deeply was the (perhaps unintentional) spiritual dimension. 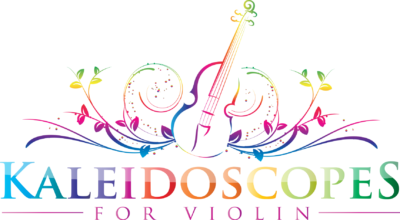 Elise is a Suzuki teacher and author of Kaleidoscopes for Violin. She performs with the Austin Symphony and Austin Lyric Opera, and as guest soloist and concert master with La Follia. Her passions (besides music) are developmental psychology, cognitive neuroscience, snowpeas, coffee, and design. In her free time you can find her having coffee at Russell's Bakery or spending time with her cat Svetka.